You're about to sign with a team... Are you sure you checked everything? 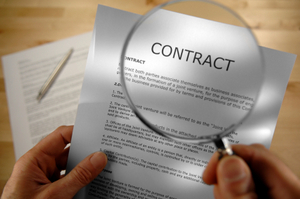 Before signing a contract with a team you need to make sure you have discussed and agreed everything with them. We have come up with a list of things (see below) which need to be discussed. Most of these things are common sense but often, in the recruiting process, many of them get overlooked. Also, remember that to be signed with a team you should NEVER send money to anyone (regardless of the reason) or buy anything (even if you're told that you will be reimbursed). If in doubt you can of course contact Europlayers. If a team insists that you have to pay for something, simply tell them to deduct it from your first month's salary. Take the time to go through this checklist with your future team before signing a contract with them. Feel free to comment below if anything has been forgotten from the list. -How much will you be paid (amount and currency)? -How often wil you be paid (is it weekly (which day) or monthly (which date))? -How much is the bonus (amount and currency)? -What do you need to do to get one? -What is the exact address of the house/apartment? -How many rooms (bedrooms, bathrooms, lounge, etc)? -Will it be a single or shared occupancy? If shared, how many people will you share it with? -Will you get internet access (wifi) in the house/apartment? -Who will pay for the utility bills (water, electricity, etc)? -Will the team provide you with a mean of transport (bicycle, car, public transport)? -If public transport: will the team pay for your pass? -If bicycle: will it be shared? If so, how many people will you be sharing it with? -If car: will it be shared? If so, how many people will you be sharing it with? Will you be allowed to use it for private journeys or will it just be to commute to the club/gym? Will you get a petrol/gas allowance? If so, how much? -What is the exact address? -How far is it from the house/apartment? -How long does it take to get there from the house/apartment? -What is the website (if any)? -Who will pay for the gym membership? -Will it be provided or do you need to bring gear from home (if so, what will you need to bring)? -Who will pay for the air-tickets? Is it the team, a sponsor (if so, which one? ), etc? -How and when (exact dates?) will you be getting there and also returning home? -Will it be a direct flight or will you need to change (if so, where)? -Will you be picked up at the airport by a member of the team? -Has the team confirmed that you will have a medical insurance? If so, ask for a proof of insurance including the start and end dates. -What does the insurance cover? -How many days will you spend in the country of your new team? -Depending on your country of origin, you might need a visa (eg Visitor permit, Work permit, Professional visa, Student visa, etc). Check this with your local consulate and discuss this with your team before travelling. It is your responsibility to check this BEFORE you travel to the country of your new team. -For information American citizens can usually stay in Europe for 90 days maximum without a visa but please check this as it might change depending on your personal circumstances. -How many meals per day will be paid by the team? -How will they be paid (cash or partnerships with local restaurants for free daily meals)? -If cash, how much is the daily allowance and how often will it be paid? -If partnerships with local restaurants, where is/are the restaurant(s?). Ask for name and address. -Will the team pay for a pre-paid sim card? If so, will they recharge it? How often? -Has the team signed import players/coaches in the past? -If so, ask for their contact details (name, email address, phone number) and contact them to discuss their experience with the team. -Part-time Job/internship: your day won't be as full as it was in college, take advantage of any opportunities to build your resume! -Public events: how many will be asked of you? If upon arriving you realise that something is not as expected, go and talk to your coach or the team manager. Don't wait! They're here to help you. -Be on time when you have team events, practices and games. You will be the first to show up and the last to leave! You need to set the example for all players on the team. They will all look up to you and see how you carry yourself and follow suit. If you show up late for practice or games, they will feel that they can do the same. -Football will be your #1 priority: you will be paid to do what you love and also experience a different culture. Everyone else on your team will have a family, school, work, lives outside of football. Football is your job so you will be expected to help out as much as possible. Many teams do jobs in their cities like security for festivals, building things, and many other things that pay for you to be there. When teams need players to help with work, be the first to help out. -Coaching: you will probably be expected to coach the junior teams, B teams, etc. -Help with practice plan, game planning, film study and meetings. -Don't complain about fields: American football is gaining popularity in Europe but soccer is still king. Most American Football teams in Europe get last pick of fields, times, and money from the city. Just make due and be positive. -Don't bring negative attention to yourself or the team. Chances are that there will not be many foreigners in the city so you will be well known as "that guy who does American football". No need to bring negative attention to yourself or worse your team. Hi George - You should contact the nearest consulate of the country you're planning to go to. They will be able to tell you if you need a visa or not. Basically it depends on the country you're going to and how long you're going to stay there. If you are a first time player never have been signed overseas how do you know if you need a visa or not I do own a passport. I would find out what visa classification you would have. I.e. Visitor permit, Professional visa, Student visa. Each have their own perks/benefit. Students mostly get discounts at stores/restaurants, insurance and transportation pass, which could lower the bill and increase the budget for the club or make room for bonuses. Professional visas help with taxes and holiday pay., and more. Look into having a bank account. Setup direct deposit. Would be useful when traveling, not to have a stash of cash on hand, so you'll have some financial security. Along with an electronic receipt for when/how much you were paid/compensated for your work. This is a very good. List, and eve,n if you know some one there a lot of team that will not not stand up. Most of them are in Denmark they just wash there hand of what should me done. Right most if not all the players are wonderful, yet most Board member are not so good and not very nice.